Two of my favorite boys cheering for my favorite team. So cool! 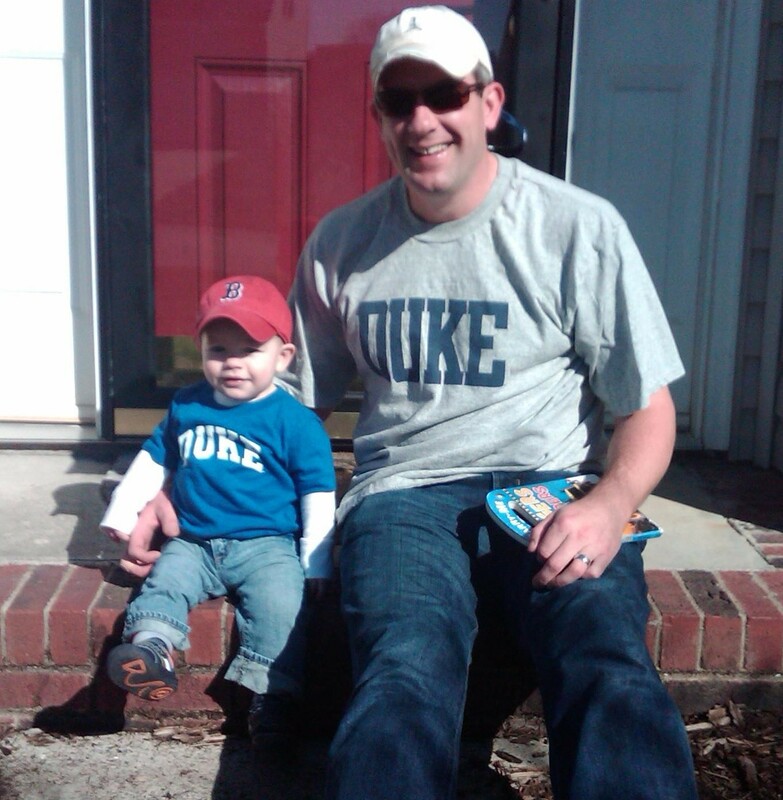 Being from NC, I'd love to know how your allegiances got to Duke. Can't get enough of those little ones right? Hugs to you on Super Bowl Sunday!! 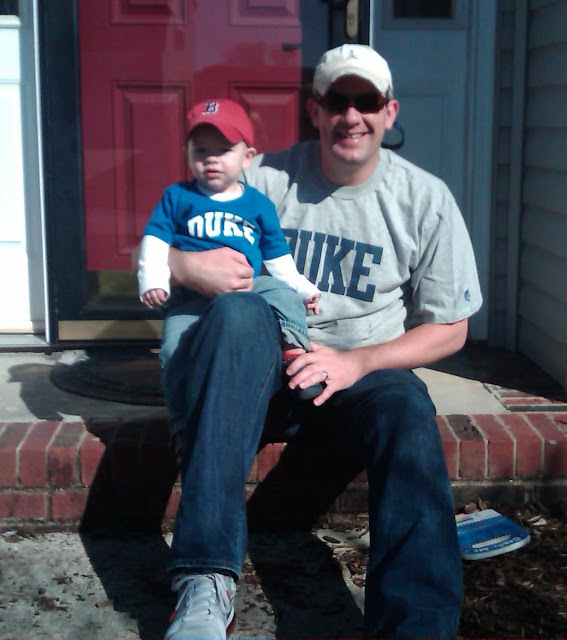 Anonymous: I married a Duke fan and raised some Duke fans! Amen, Teeter! Poor little Baby B, indeed! But even a Duke shirt can't make him look bad- he is adorable, as always! May You Have The Happiest Of Days!